Product prices and availability are accurate as of 2019-04-19 02:18:33 EDT and are subject to change. Any price and availability information displayed on http://www.amazon.com/ at the time of purchase will apply to the purchase of this product. Adjust-A-Gate Chain Link No Sag Gate Building Kit - Chain Link Walk Through Gate - Build a new gate that never sags or drags and has a perfect fit every time. Replace an old sagging gate. 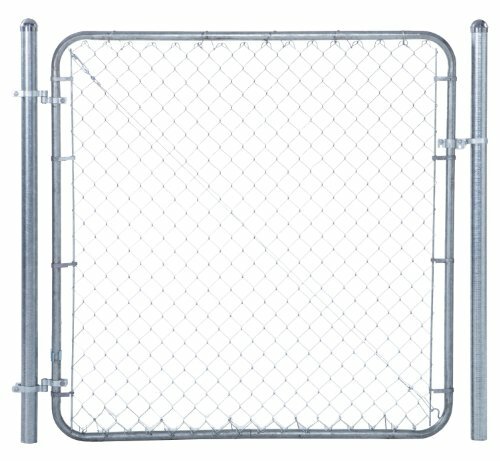 This chain link gate kit is built with contractor grade steel, with rust-resistant coating for durability. 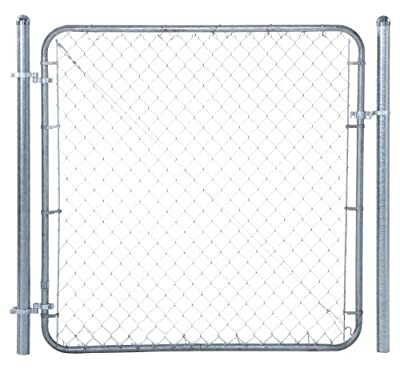 Includes an adjustable steel frame, lockable gate latch, gate hinges, patented truss cable sytem, tangle free chain link. Posts and post hinges are not included. This is the perfect gate building kit for homeowners and contractors alike. Over ONE Million Installed, Internationally. Simply the Best Gate Frame Available. One of the biggest headaches of building a fence is getting the gate right. Adjust-A-Gate is your no-nonsense solution to all your gate frame woes. Stay on-time and on-budget with our reliable and versatile gate frame system. The premier gate frame kit on the market, Adjust-A-Gate is a straight-forward, lifelong solution, easy enough for homeowners but with superior quality that meets the demands of the professional contractor. Building your gate on-site eliminates measurement issues, so you get the right gate the first time, every time. We support wood, vinyl, and composite materials as well as ranch style fences so you’ll have an easy time finding the right design for you. Whether you are a professional contractor or do-it-yourself enthusiast, Adjust-A-Gate is the right solution for you. 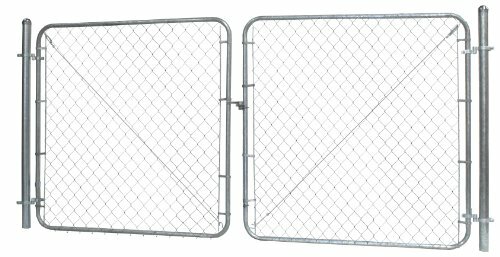 ANTI-SAG CHAIN LINK GATE KIT - This gate hardware kit has a patented truss cable system that keeps your gate from sagging or dragging. 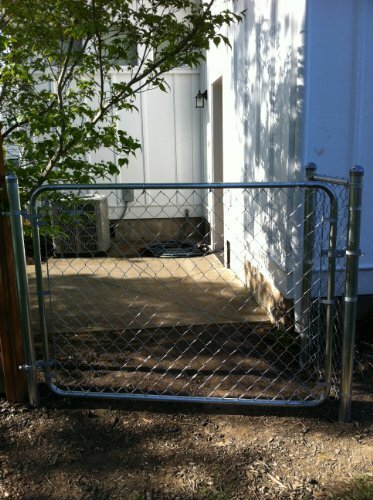 Use it to replace an existing old gate or build a new gate up to 72" wide. Use for chain link fence. EASY TO INSTALL - The Adjust-A-Gate chain link gate kit is installed on-site to perfectly fit your gate opening every time. Build a gate up to 72in. Wide x 6ft. high. 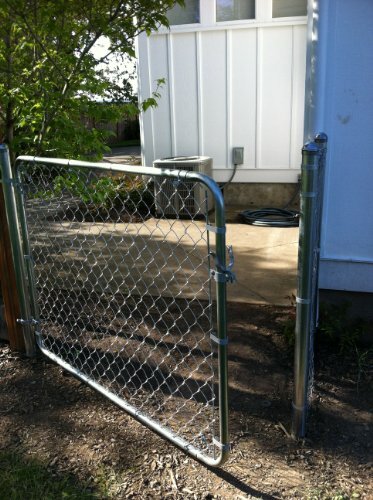 COMPLETE GATE KIT - Includes everything you'll need to build a chain link walk through gate. Steel gate frame, galvanized chan link, lockable latch, gate hinges, steel wire ties. (posts and post hinges not included) DRIVE-THROUGH DOUBLE GATE - Purchase 2 kits and a UL301 Drop Rod kit for building a double gate drive through up to 12' wide. ADJUSTABLE - Telescoping bars fit gate openings from 24" wide up to 72" wide. Perfect for odd sized openings.